Video Tutorial Rendering in 3ds Max. 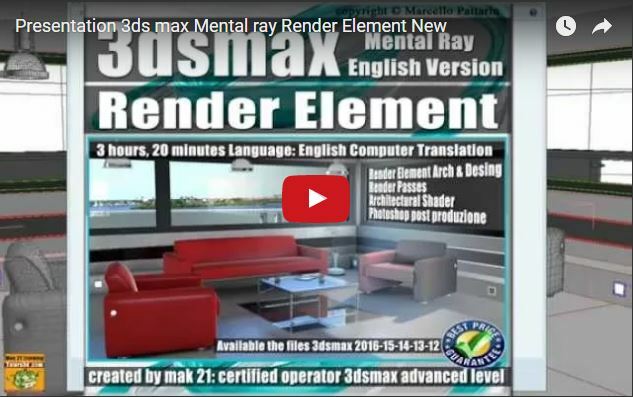 3ds max Mental Ray Render Element English. In this video course dedicated to mental ray in 3ds Max are analyzed the procedures for the rendering element and advanced settings. There are 18 video mp4 1280 x 800 for windows and Apple. The master has a duration of 3 hours, 20 minutes. It's available at the sites for the sale.